High lift range allows easy access to tubs, chairs, commodes, floors and beds. 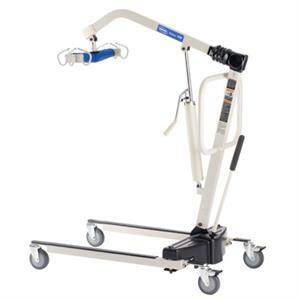 This all-encompassing lift system lowers costs and helps to protect both caregivers and users from injury. The sturdy lift supports up to 450 lb., making potentially challenging transfers smooth. Includes in-service training and videos (https://youtu.be/lYDF_BzKlxw). Dimensions: Height at Sling Hook-up: 25"-71"